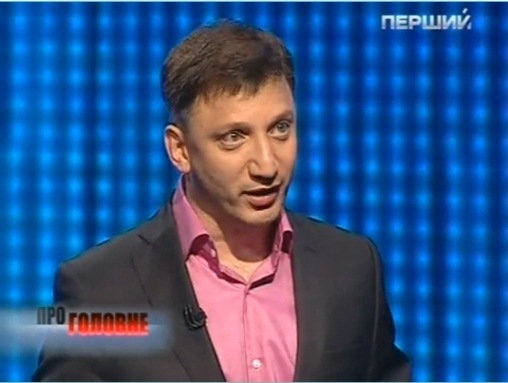 The best place to find the original sources has been the blog of Ukrainian GM Mikhail Golubev (in Russian). He’s been motivated by horror at the less-than-critical Ukrainian media coverage, and the perhaps foolhardy involvement of the Ukrainian Chess Federation in the whole circus. An entertaining pitched battle is also being fought over the content of both the Russian and English Wikipedia pages on Slyusarchuk. The glowing accounts of the Lviv neurosurgeon’s (?) life that you could read a few days ago have been interspersed with numerous critical remarks. The Russian page currently begins “Ukrainian showman,” and includes a quote from the piece by Sergey Shipov that I’ve translated below. The world is run by the media. They’re capable of turning any myth, any joke, into a worldwide sensation. Their efforts are enough to make any story, even the most ridiculous, appear to be a known fact. I genuinely admire the energy and promotional skills of the Ukrainian genius Slyusarchuk. Well done to him! I’m in no position to talk about his talents in other spheres, but so far I see no basis, and certainly no reason, to discuss his chess talent. Imagine a boy stepping onto a stage. There’s a barbell there with the weight “300 kg” written on it. The boy lifts the barbell easily and gracefully with his left hand – the audience breaks into applause. Or imagine a magician pulling one egg after another from his mouth. Or hiding a rabbit in a box and then opening it to reveal – the big-eared one’s gone. Tell me, please, who would seriously assume the boy had really managed to lift a record weight, too much even for professionals with a mountain of muscles? And who’d believe a magician really is capable of giving birth to eggs from his mouth, or annihilating a rabbit with a wave of his hand? It’s just a trick. A beautiful and professional trick. Impressive. It’s only the technique of magicians that you can seriously discuss – the art of illusions, the “now you see it, now you don’t” sleight of hand, and so on. And beating Rybka (with Black, blindfold, and on demand in front of an audience), is just such a trick. The process and result are just as impressive in their absurdity as giving birth to eggs in the mouth of a magician. For those who aren’t up-to-date with the chess life of Planet Earth, I’ll explain the prehistory. Computer programs have played with monstrous strength for a long time now. At the end of the 90s the strongest players in the world were still able to defeat the best programs in matches. The notorious victory of Deep Blue in a match against Kasparov in 1997 was a real sensation with a touch of the mysterious – many suspected the computer monster’s technicians of certain ploys… A lot’s been written on the subject. In short, no-one took that victory as a breakthrough. Kasparov, it went without saying, played better than the machine which, incidentally, was disassembled right away, and for good. Then, at the start of the new millennium, a period of precarious equilibrium set in, when the cream of chess society could still compete with the programs on roughly equal terms. It was back then that Kasparov and Kramnik played their famous matches against Fritz and Junior. 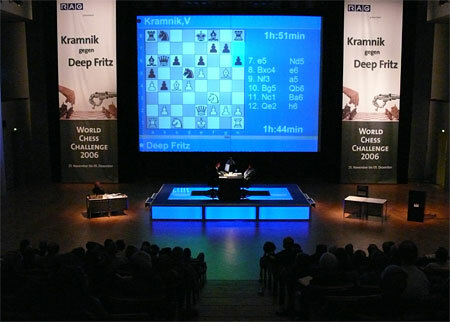 After matches ending in draws Kramnik went and lost to Fritz – and since then interest in man v. computer matches has dried up completely. For good. Flesh and blood players challenging computers has taken its place in the museum along with sprinters competing against cars, weightlifters against cranes and so on. By the end of the first decade of the new century the programs had already become much stronger than people – the best of the best – and no professionals had any doubts on that score. Each of us uses the best programs in our home analysis. We know them like members of our family. Perhaps better. If in closed positions we’re still capable of competing against programs, disputing, proving them wrong, expressing our own judgements that go against the first lines of the programs, in open positions, in complications, in wild tactical battles, it’s become almost impossible to argue with the machines. Contemporary programs (above all Rybka and Houdini) have a remarkably balanced and human evaluation function. They’re no longer as greedy as the programs of the 90s. They have a subtle feel for the initiative, work knowledgably with the pawn structure and take all the important strategic factors into account. Forgive the banality, but machines have a colossal advantage over us in a sporting struggle. They don’t get tired, fear nothing, never lose sight of the geometry of the board, consider all the candidate moves and so on. They’re notoriously much more stable than people. Which seals our fate. In general, decades of painstaking work by programmers and professional chess players haven’t been in vain. Together they’ve created practically ideal players, far surpassing us living people. Therefore Slyusarchuk’s achievements won’t be believed by anyone with even the slightest grasp of modern chess. I’ll go further. Even if he was a well-known grandmaster (and not an unknown amateur), then in that case as well such a demonstration of superiority over Rybka would provoke exactly the same response. Identical. In general, I’m among those who’re interested in Slyusarchuk’s achievements and admire his talents. But I ask that people distinguish magic tricks from the laws of physics. P.S. I have to tell those who think Slyusarchuk might have “simply memorised” the necessary volume of chess information and used it in his battle against Rybka that… first and foremost, the necessary information doesn’t yet exist! To date, chess databases have only been created for a maximum of seven pieces on the board i.e. only relatively simple positions have been conclusively calculated to a result. And that, by the way, is a gigantic volume of information, beyond the grasp of mere mortals. Put an eighth piece on the board and everyone will have to play using their own brains. People, computers, and even Slyusarchuk. And all told the battle starts with 32 pieces on the board – so there’s no question of recollection, or any “alternative” algorithms. Everyone has to study the position, consider candidate moves, calculate variations, evaluate the ensuing positions and make a tough choice. Programs currently do that much better than people. Alas. Believe me, it’s much easier simply to play chess. P.P.S. So what happened on the stage, then? 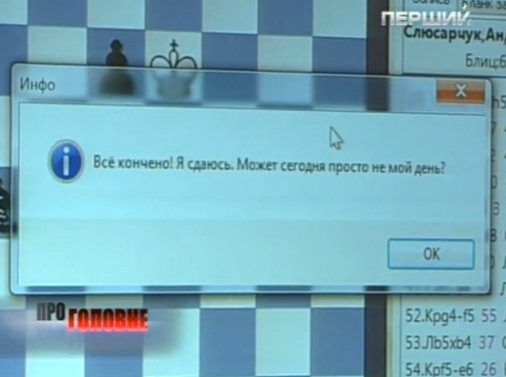 It seems as though the genius, with a computer and helpers, successfully played out one of the games Rybka had previously lost. Sorry, I got my figures a little mixed up. 10 to the power of 120 – that’s the number of possible games of chess. I came across that fantastic figure in my childhood. While in the context of our event the number of possible positions is much more relevant. So then, according to those in the know, that’s estimated to be in the region of 10 to the power of 50. However, the power of 50 is in essence no different to the power of 120 – in terms of being impossible for mortals to memorise. It’s enough to compare that figure with the number of seconds in a hundred years of human life – 3153600000 i.e. three times less than the paltry 10 to the power of 10. It turns out that in order to memorise all the possible positions (and also the evaluation and best continuations in each of them) the genius would, in one second of his life, have to grasp a mere trifle – 10 to the power of 40 positions (I’ll omit the multiplication by three – it’s not beyond Slyusarchuk to live to 300, given his talents). 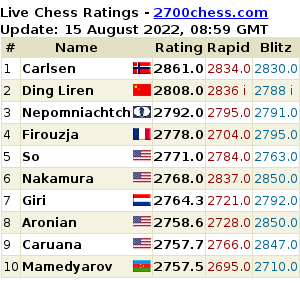 Those readers hungry for some real chess to replace these ‘chess-related’ shenanigans haven’t got long to wait! The Candidates Matches in Kazan start in only two days’ time, and GM Sergey Shipov will be commentating on a game a round for Crestbook. I’m planning once more to translate the commentary live (or as near live as possible!) into English. I wholeheartedly agree with Mr. Shipov that we must be doubtful of this report. 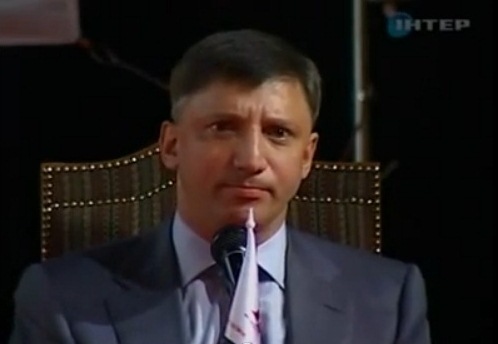 But I think we must also give Mr. Andriy Slyusharchuk the benefit of the doubt before pronouncing judgment on him. There were people who were known to have been able to memorize huge quantities of data. Doubtless, Andriy Slyusharchuk was also boastful in some of his remarks, like for example, that he would also beat (maybe easily, too!) Houdini. But being a bag of wind doesn’t really necessarily translate into being a sham. The real solution to this problem would be to stage a match under stricter conditions between Andriy Slyusharchuk and Rybka (or better yet, Houdini) and then, only then, we would be able to pronounce our proper judgment (free of bias) on this guy Andriy Slyusharchuk. I thought that in the rare event that the program loses a game that is of particular significance, the programmers would make an update. Otherwise the opponent could play the same game and win again. Or they employ a randomizing function when there are several candidate moves of similar value, so you won’t get the same game again. 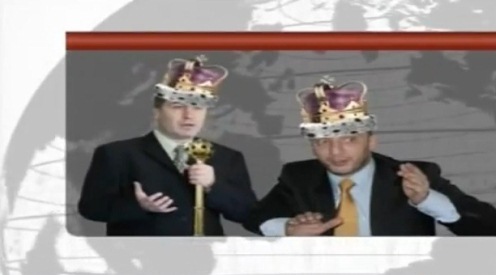 So I’m not sure he could perform the magic trick the way Shipov claims. Still, I agree such a trick must have been played, or else Slyusharchuk has only to play a few matches against humans to become a real sensation.